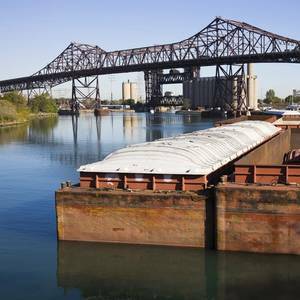 The Mississippi River closed to vessel traffic north of St. Louis on Wednesday after barges carrying loads of corn broke free from one another and struck a river lock, the U.S. Army Corps of Engineers said.The accident took place at Lock and Dam 25 near Winfield, Missouri, and involved a vessel towing 12 barges south on the river, said Army Corps of Engineers spokesman Scott Ross. 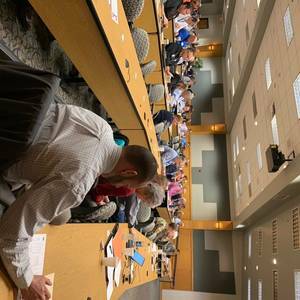 On February 12th and 13th, the Missouri River Stakeholders converged on Kansas City, Missouri to discuss current challenges and opportunities for growth. The main message echoed repeatedly, is the Missouri River is open for business, and business is booming.Over the course of the two-day event, the U.S. Army Corps of Engineers and the U.S.
Upper Mississippi Fleeting has signed a deal with MobileOps to help bolster safety, maintenance and regulatory initiatives across its fleet.Upper Mississippi Fleeting, located in Buffalo, Iowa, performs a variety of services in the area, including barge switching, fleeting, cleaning, repair, dry docking, lock and dam assistance bridge assistance.